After research for a long time, finally I choose Jeju Air as my transport to Jeju and Busan. This is because you can get 3000 Won discount when you are the new member who join Jeju Air. 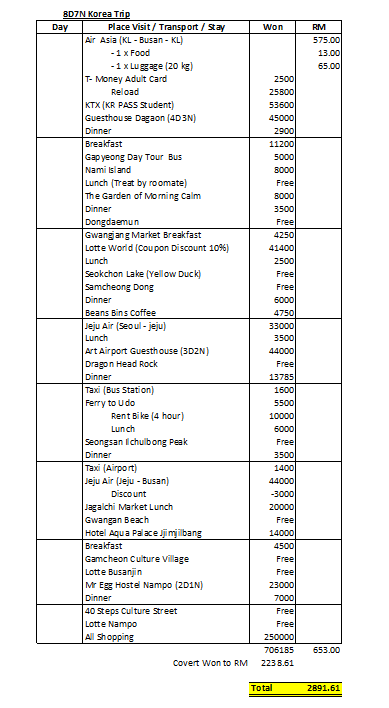 That why I brought Jeju - Busan is 41000 won only. 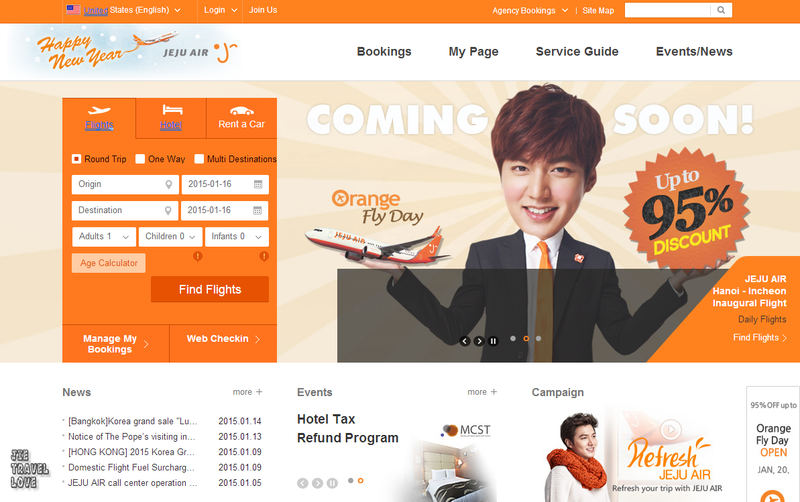 The Main Page of Jeju Air. T- money 是个很好用的卡, 到处踏巴士， 踏火车都可以用. 我只要一卡在手，走遍整个韩国~省钱又省时间 （韩国每一个火车站，好像都没有工作人员）*哈哈* T-money 到处都可以买的到, 像是在小商店，或地铁站 T-money贩卖机都可以买得到. 价钱在 2500 Won （大人）一张卡，里面是没钱的，记得要加钱先哦! T-money is also very useful at Korea. All the Bus and Train can be use no matter at which area. It's only cost 2500 Won (Adult) to buy the card. After that, you can top up at the mart or train station. With using T-money, you can save more money compare with paying cash. Beside when you finished using your T-money card, the remaining balance can be refunded after a 500 won service charge. 如果韩国要省钱， Coupon 是一定要的~ 要多多留意你想要买的的东西， 吃的东西 和入门票等都有折扣哦~ 以下有几个地方你可以上去把 Coupon print 出来用,但记得看截止日期哦!